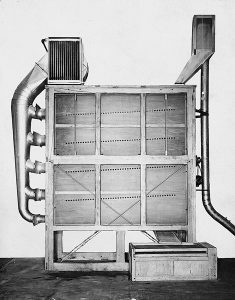 Fava, among the world’s leading companies for the production of pasta equipment, was founded in 1937 by Augusto Fava, who designed and patented the first machines capable of drying the product in continuous, uninterrupted process, making way for the introduction and subsequent promotion of automation in the pastamaking industry. Research and innovation, which have always represented the spirit of the company, led to the development of high temperature technology in 1972 under the guidance of Augusto’s son Enrico, the new head of the Company. These ideals continue even now to play a fundamental role in the company’s strategy for satisfying its customers’ demands in a constantly evolving market. 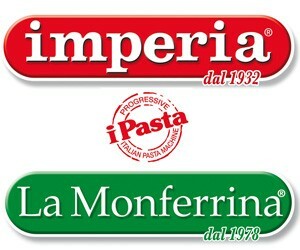 Today the Italian company is at its third generation and it is still run by Enrico Fava, Chairman, and Luigi Fava, Ceo. Nowadays it celebrates its 80 year anniversary with great enthusiasm and satisfaction because it is reaping the rewards and acknowledgments for the achievements it has accomplished over the years. «Our company introduced automation to the dry pasta field in 1937 thanks to my father Augusto’s idea, founder of the company – remembers Mr. Enrico Fava – and by 1952, an entire range of patented pasta lines was available to the worldwide clientele, capable of meeting the various production expectations. At that time, the maximum production capacity was 450 kg/h which gradually rose to 1.000 kg/h in the 60’s». In the “world of pasta” the major breakthrough came in 1972 when Fava launched on the market the ATR long goods pasta line. 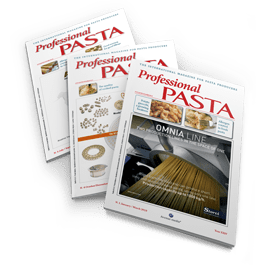 It was a revolutionary method for treating the pasta, resolving the stickiness issue which had tormented pasta producers for years. «This is why the market found the answers they were looking for in Fava in terms of quality and quantity», Mr. Fava says. «Therefore, year by year, more and more advanced and reliable lines were built in our workshop in Cento (close to Ferrara, Italy): the outcome of a combination of research and experience, which to date, remain the strong points of our business». In 1996 the company developed another original innovation: the PREMIX. It is applied to new generation FAST presses with a capacity ranging from 1.000-4.000 kg/h. – explains Mr. Fava – thanks to this new application, a new dough system is introduced i.e. a stabilization belt mixer is applied to the initial dough phase instead of the traditional mixer, providing significant advantages. The belt mixer improves the colour of the pasta considerably, eliminates the energy power required to drive the shafts of a traditional mixer and simplifies cleaning and maintenance procedures». 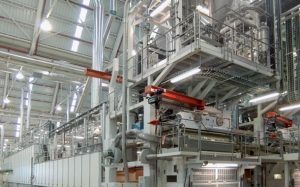 In 1997 the company decides to add its own selection of couscous production lines to its range of equipment with capacities varying from 1.200-3.000 kg/h. «This natural food which is tied to Mediterranean alimentary traditions is extremely captivating», says Mr. Fava. «This is why the company transfers all its technical and manufacturing know-how acquired in the dry pasta production field to the couscous production field and was highly appreciated right from the start by couscous producers». 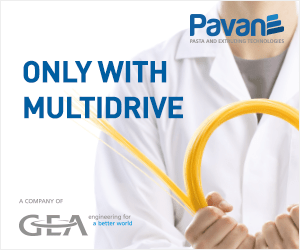 In 2010, a further technical and technological innovation allows Fava to experiment new production lines, sustained by an original patented drive mechanism capable of reducing long goods drying times to approx. 3 hours and short goods drying times to less than 2 hours. «The quality of the product in terms of cooking resistance, appearance, robustness is superior when compared to the best products available on the market», Mr. Fava affirms. This new technology was launched at the latest edition of the Ipack-Ima exhibition «acquiring widespread consensus». Also, the production outputs and product quality for specialty products, such as nests and lasagna, have reached remarkable levels – 1.200 kg/h and 600 kg/h respectively. 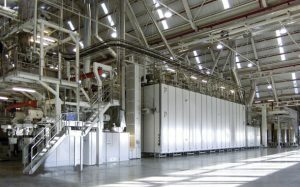 In the meantime, studies and research have enabled the company to produce the world’s highest capacity pasta lines i.e. 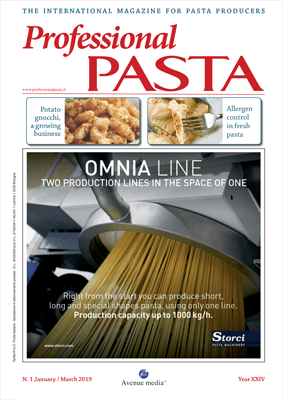 up to 6.000/ 6.500 kg/h for long-cut pasta and 12.000 kg/h for short-cut pasta. The pasta-making and drying technologies applied assure the best quality of the finished product, whatever raw materials are used. summary of the company Fava’s top historic moments over the past 80 years: a history we are very proud of», Mr. Fava asserts.